Very interesting article on the ZDNet blog, Between The Lines. 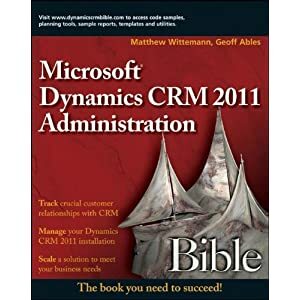 It covers some recent comments that Bill Gates has made indicating that Microsoft needs to make a fundamental shift in the CRM marketplace -- and software marketplace, in general -- to deliver new apps and features quickly by moving to an ASP model, like salesforce.com. The article quotes Salesforce.com CEO Marc Benioff as saying, "Microsoft and Salesforce.com are like Blue and Red states and we have different strategies with different views of the world. Our view is that software is dead and the Internet is where customers want to manage and share their information. Microsoft's view is that everyone wants to manage their information in Microsoft software." Many people say that Microsoft is bent on trapping customers into expensive licensing, but from my perspective, albeit a little biased, it's the other way around. If you decide to invest your company's resources and business model into the salesforce.com way of doing business, then you can expect to pay monthly fees forever -- month after month, year after year. At least with Microsoft, you can pay for a license and use the software as long as you it fits your needs. Anyway, it's an interesting article and an interesting contest that is shaping up. Salesforce.com is focused on the hype. a Big mouth attracting feet, and thats what happened with the Cisco stalling deployment.